CENTRAL PA RACING SCENE: Williams Grove Hosts Jam-Packed Action-Filled Night Of Sprints This Week Four sprint car mains slated on World of Outlaws tune-up night! 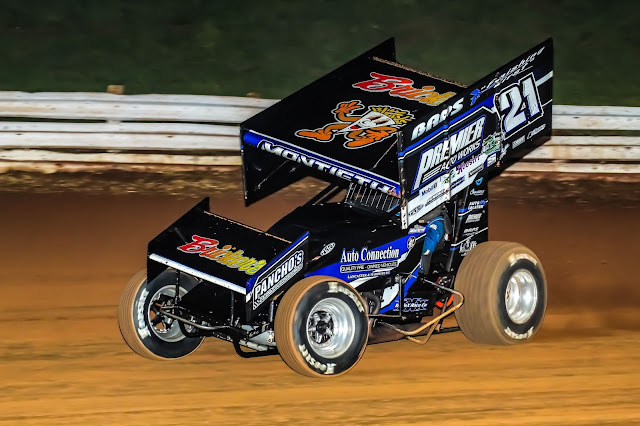 Williams Grove Hosts Jam-Packed Action-Filled Night Of Sprints This Week Four sprint car mains slated on World of Outlaws tune-up night! And there will be no increase in the previously posted admission price for the valuable and exciting racing event! The race will be the final installement in the 2018 Hoosier Diamond Series at the track in which Greg Hodnett is the point leader. The 410 sprints will race in the 30-lap Al Hamilton Tribute Dirt Classic Qualifier paying $5,0777 to the winner, also a Diamond Series event. But before the entire first lap could be completed, a seven-car fracas unfolded in the fourth turn involving the cars of Adam Wilt, Chase Dietz, Jim Siegel, Jared Esh, Kyle Moody, Freddie Rahmer and Cory Haas.